I felt a real affinity for this book from the very first pages. I love the way Annie admits her mistakes and uses them to learn for the following years. Very much a cook first and a gardener second, as Annie says ‘It became obvious within minutes of discussing the way forward that anything I thought I knew about gardening was not going to be very useful and this was an opportunity for me to learn not to instruct or dictate.’ And this is what she does. 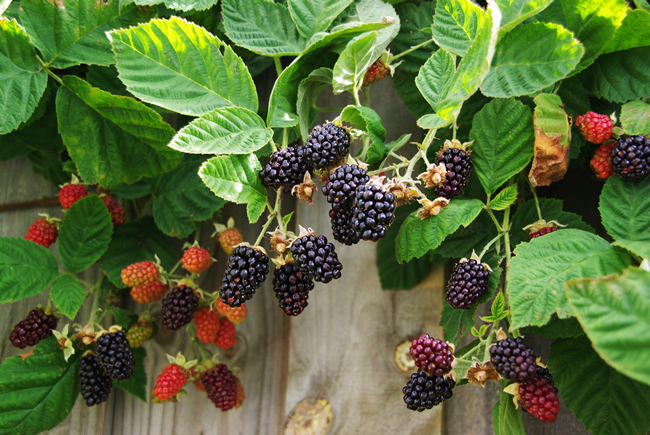 With the help of Simon Rickard, ‘a meticulous plants man with a huge interest in heirloom and old varieties of fruit and vegetables’, Annie established extensive vegetable beds and plantings of fruit trees. 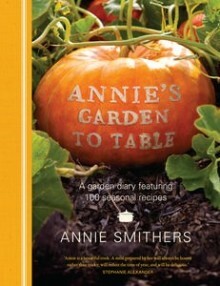 It is this fascinating story, combined with the seasonal recipes that make this book special. Annie reminds us that simple foods rely on the quality of the ingredients, and the very best ingredients come from our own gardens, freshly picked. This book is for anyone who grows their own vegies and fruit. It helps you to realise that things do go wrong, but often enough they also go right and that there is real joy in harvesting our freshly grown produce and then cooking them in simple but delicious ways. 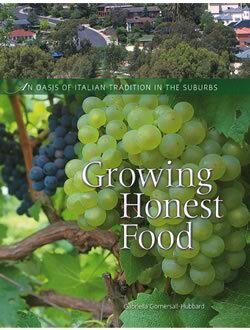 If you don’t grow your own, but buy from markets or local green grocers, you will enjoy the tales of the vicissitudes of gardening life, and delight in the recipes. Annie finishes the book by saying ‘We should all make the time to grow a piece of food, if only to fully appreciate how hard it can be. This in turn will give us a healthier understanding of the value of good food and its absolute preciousness as a resource.’ With beautiful pictures by Simon Griffiths, this is another book to add to my shelf for constant reference. Borrow it from your library or buy from your local independent bookshop. to register. And don’t forget to spread the word to your friends. The Heide Museum of Modern Art at Bulleen in Victoria was a neglected former dairy farm when Sunday and John Reed purchased the property in 1934. At the end of their lives and after fifty years of dedication Heide was rich with exotic and native flora and boasted a stunning cottage-style kitchen garden. As art benefactors the Reeds also created a nourishing environment for the artists they championed including Sidney Nolan, Albert Tucker, Joy Hester, Charles Blackman and Mirka Mora some of whose artworks are dotted throughout the book together with historic photos and more recent garden images. 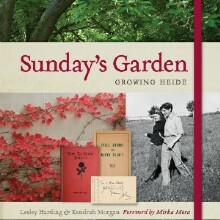 Nolan’s poems to Sunday and a dramatis personae of those who contributed to Heide’s rich tapestry and history all add to this fascinating read while a timeline from the 1800’s through to present day documents the couple’s lives, work and garden plantings on the property. 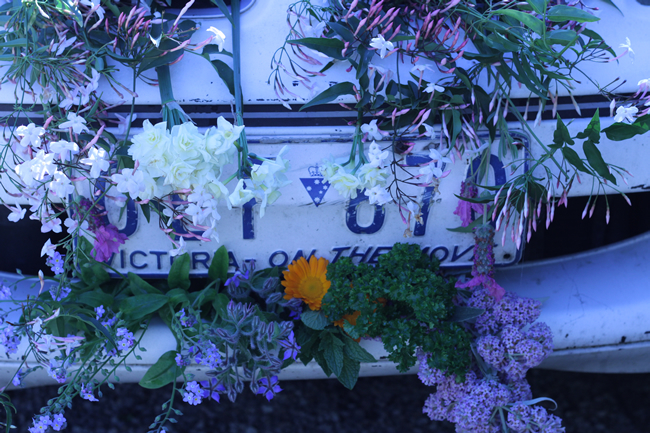 In the 1960’s Sunday’s love of roses is reflected in her rose planting list – Heide’s most famous rose Mutabilis was immortalized in Sidney Nolan’s 1945 painting – Sunday and Susie Bruntion set up Heide Herbs selling herbs propagated in the Heide I kitchen garden and there’s the construction of Heide II, a modernist home on the property which was sold to the Victorian Government in 1980 while the following year Heide Park and Art Gallery is opened. A comprehensive glossary of trees and plants has been compiled by Heide’s current head gardener Dugold Noyes, in recent times the Heide II kitchen garden and rose walk have been restored and the wild garden is the focus of a major restoration project. This captivating book will appeal to both art and garden lovers as it explores this intriguing property and its creators. 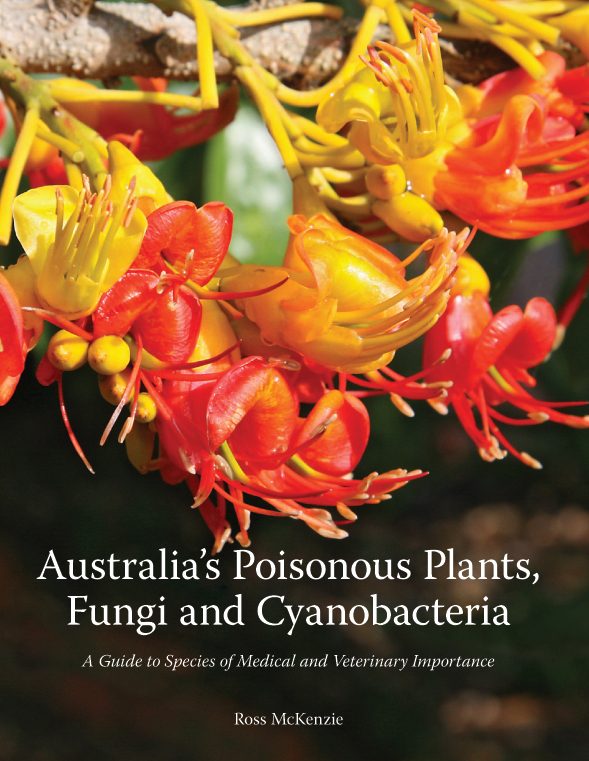 This impressive 976 page tome written in a straight forward accessible format is an invaluable tool for a wide range of people from farmers and graziers, horticulturalists and natural resource managers to landscape architects, agricultural advisers and consultants, veterinarians and horse owners as well as poisons information centres, hospital emergency departments and medical practitioners. Diligently researched and written by Ross McKenzie, retired veterinary pathologist, toxicologist and research scientist from the Queensland Department of Primary Industries where he diagnosed and researched diseases of livestock for 36 years (1973-2009). Ross has been honoured with numerous awards throughout his career, has authored over 100 scientific publications, has contributed to several international veterinary text and reference books and is now an Honorary Research Associate of Queensland Herbarium and of Biosecurity Queensland.